Leslie Flowers is a mentor, business advisor and subject matter expert in leveraging the power of performance, achievement and mastermind for people to tap into people’s inborn greatness and potential. 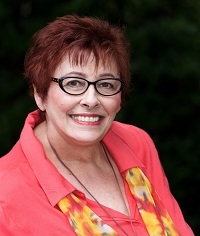 A certified speaker, coach and consultant, Leslie developed her core leadership strengths during 20 years of immersion in multiple trainings and techniques for personal growth and positive change. In 2008 she became aware of Napoleon Hill and his classic Think and Grow Rich. With more than 10,000 hours facilitating masterminds since 2008, Dr. Hill’s work has been a key influence in her work with women in business. Best-selling author of CHAMPION. 21st Century Women: Guardians of Wealth & Legacy, Leslie book provides the how-to’s for developing your own business mastermind and setting goals that result in consistent achievement over time. She is cultural director for new tech mobile food industry startup ‘foosye,’ with mastermind, agile and lean principles, as the foundation for growth. Having taken troops into and out of Viet Nam in the 60’s her role on the Advisory Council of Veterans Entering Transition (VET) is one way she gives back.